SALA RATTANAKOSIN EATERY AND BAR was recently selected for inclusion in the Bangkok Post’s Top Restaurants of the Year 2014. 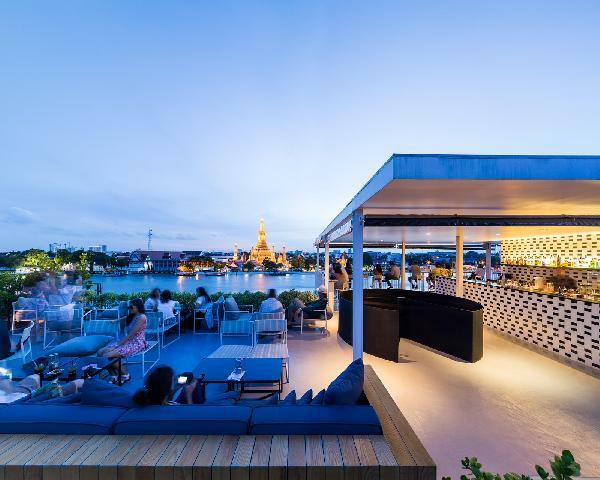 The river front restaurant and rooftop bar has already become a Bangkok dining icon since it was opened a year ago. Offering unsurpassed views of the Temple of Dawn and nestled within Old Bangkok and its many cultural treasures, sala rattanakosin eatery and bar is on the do list for many of the capital’s visitors and residents. SALA Hospitality Group offers luxury boutique accommodation and is pleased to have been acknowledged by the Bangkok Post’s readers. Bangkok Post’s continuous efforts to highlight and reward Top Restaurants of the year helps to continue reinforcing Thailand’s reputation as being a must stop destination for food lovers around the world.